It was originally Dubuque Southwestern railway and sometime before 1892 it was sold to the Chicago, Milwaukee, and St Paul railroad company and was also known as the Milwaukee road. 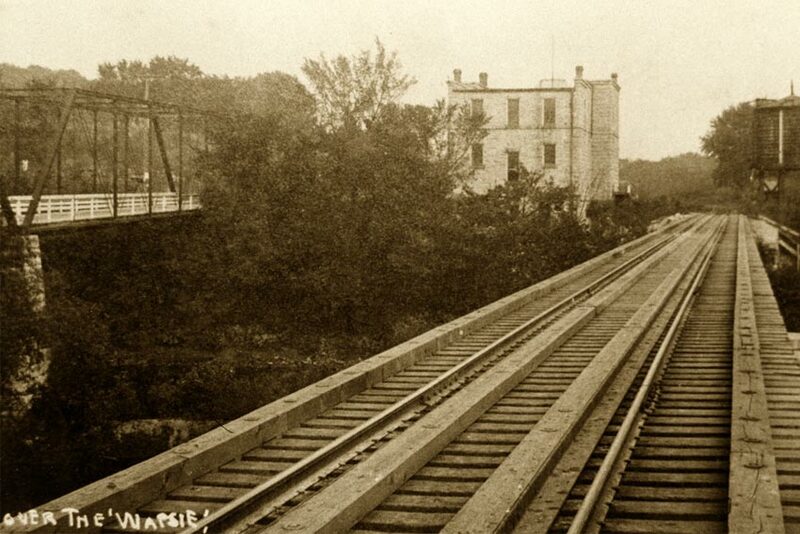 The first railroad bridge was built in Stone City in 1859; the first stone that year was shipped to Dubuque and Cedar falls by the D.Graham who opened the first quarry. Freight cars were much smaller then and in 1869 a train car load was worth $20.00. From 1859 through 1895, 225 000 car loads of stone worth $4.5 billion was shipped out of the area. Trains leaving Marion in the morning would pick up workers to work in the quarries and take them home at night on their return trip, early in n1978 Milwaukee railroad filed notice with the interstate commerce commission that they planned to abandon the line.